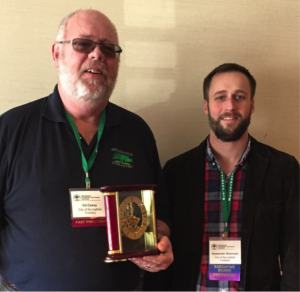 President’s Award | Massachusetts Tree Wardens and Foresters Assn. The Massachusetts Tree Wardens’ and Foresters’ Association strives to recognize its members professional commitment and dedication. The President’s Award is given by the current President to recognize an individual who has given exemplary service to the Association or industry or who has been a personal or professional mentor to the President. 2006 Leo Dube, Cleaves, Inc.